The arresting pictures of Frida Kahlo (1907-54) were in many ways expressions of trauma. Through a near-fatal road accident at the age of 18, failing health, a turbulent marriage, miscarriage and childlessness, she transformed the afflictions into revolutionary art. In literal or metaphorical self-portraiture, Kahlo looks out at the viewer with an audacious glare, rejecting her destiny as a passive victim and rather intertwining expressions of her experience into a hybrid real-surreal language of living: hair, roots, veins, vines, tendrils and fallopian tubes. Many of her works also explore the Communist political ideals which Kahlo shared with her husband Diego Rivera. The artist described her paintings as "the most sincere and real thing that I could do in order to express what I felt inside and outside of myself. 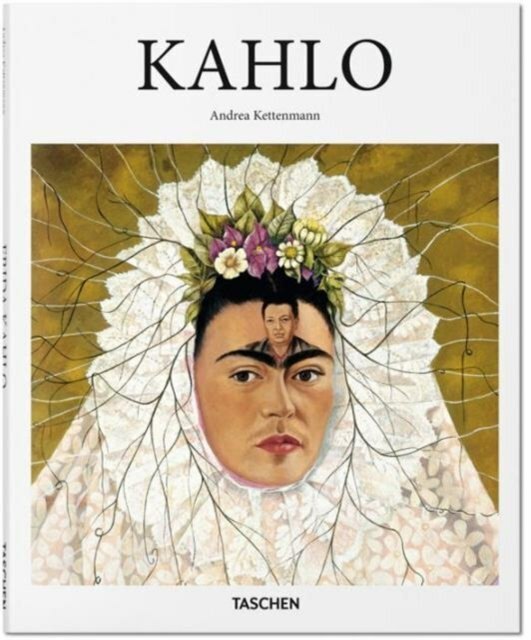 "This book introduces the rich body of Kahlo's work to explore her unremitting determination as an artist, and her significance as a painter, feminist icon, and a pioneer of Latin American culture.